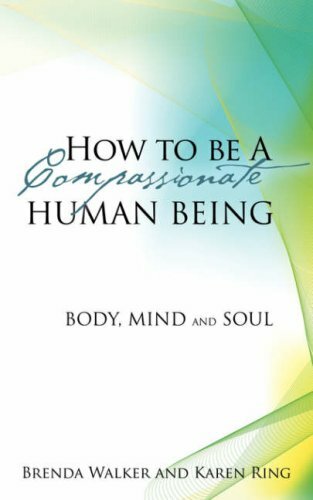 Becoming a Compassionate Human Being: Mind, Body and Soul.?? After 2000 years, Christians are still confused and in question to their great design. With a purpose, we all are to aspirer to make us each the quality and moral individuals we define to being: A Compassionate Human Being. The reason for this book is to help re-define this by step by step insight, bring all Christians back to the basic and to reflect back with the positive scriptures that the Bible has held. I have bridged together God's Laws and virtues with the opposing enemy and the seven sins. Breaking them down by first the mind, body and then the soul, based on the dimensions that sin worms its way into our common daily lives. ??????? This Biography is a duel bio really. Both women, Brenda and Karen, sisters who for a great numbers of years, grew up in different homes, never sharing their childhood due to family tragedy that children never get a say in. Both were adopted out, but all the while knowing about each other, and their four siblings, who all were in different locations. Once grown, both women did their best to gain some type of family relationship, all the while dealing with their own growing families. Facing violence in the home, deceit imposed divorces, painful heartaches with children, and some even facing homelessness. ? Between both women, the journey wasn't without gain of self-awareness, uncommon strength to endure, and finally, a passionate love for others even under their darkest times. Their uncommon connection to people is due to remembering the journey they both have and a rich insight to the purpose that God has always had for them. This is an overview of the lifetime of Brenda Walker and Karen Ring.